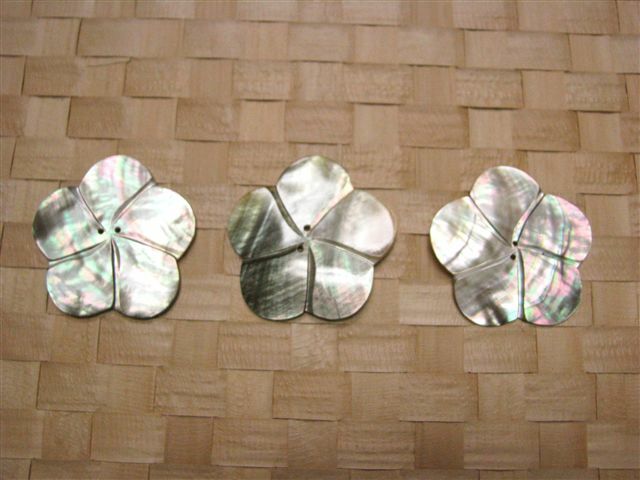 This is a Shiny & Elegant flower Shape Mother of Pearl. It is also good quality and it reflects light. This is for a Tahitian Dance Costume. Rounded Tiare Tahitian Shell Ornament 2"
Pointed Tiare Tahitian Shell Ornament 2.5"
Tiare Tahitian Shell Ornament 4"
Tiare Tahitian Shell Ornament 3"
Beautiful! The underside though, had some scratches, but no one will see them. Beautiful! Hand painted! Can’t wait to use it with my pareo from Tahiti!